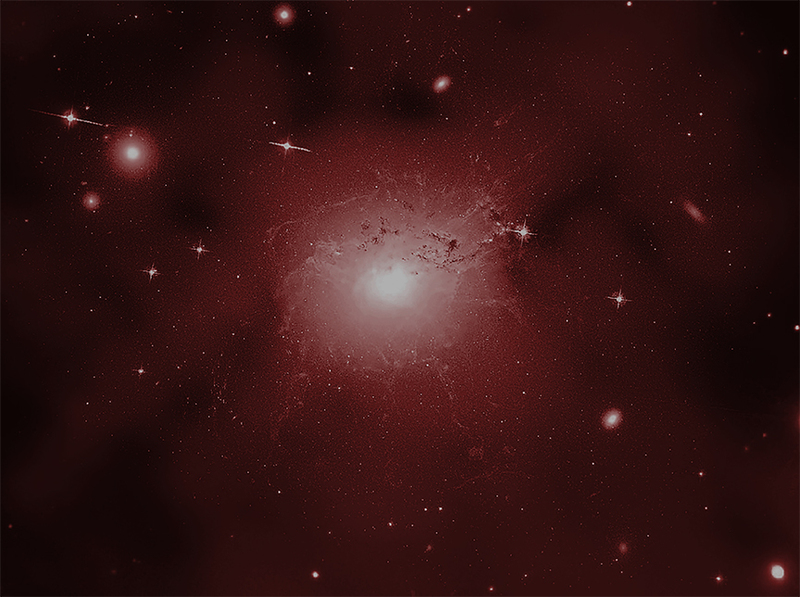 An innovative interpretation of X-ray data from Chandra, XMM-Newton, and Hitomi of the Perseus and other galaxy clusters could help scientists understand the nature of dark matter. 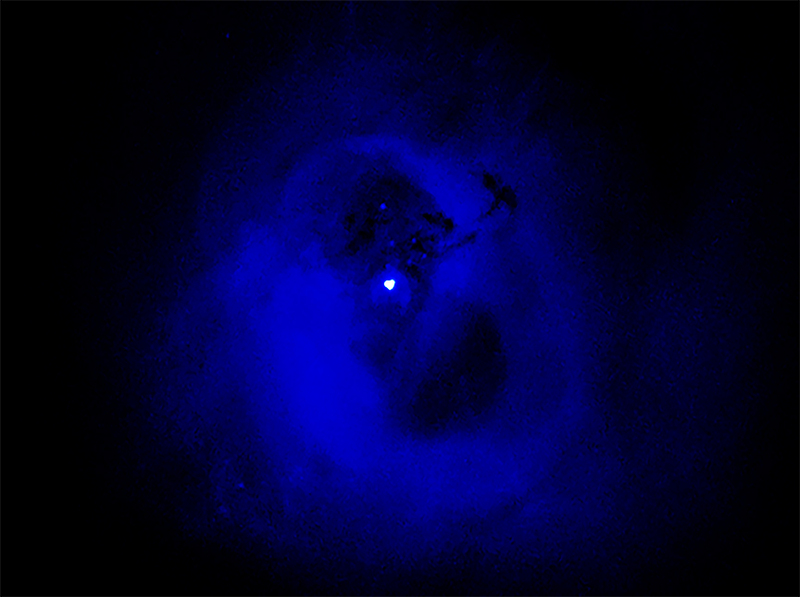 These images show X-ray data from Chandra of the Perseus galaxy cluster, as well as Hubble optical data and radio emission from the Very Large Array. If confirmed with future observations, this result may represent a major step forward in understanding the nature of the mysterious, invisible substance that makes up about 85% of matter in the universe.. The latest work shows that absorption of X-rays at an energy of 3.5 keV is detected when observing the region surrounding the supermassive black hole at the center of Perseus. 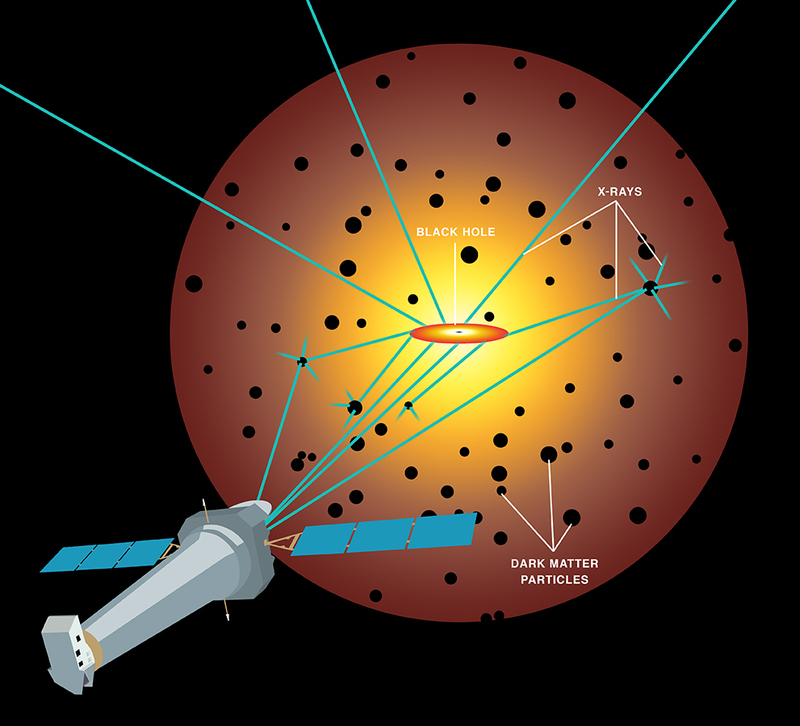 This suggests that dark matter particles in the cluster are both absorbing and emitting X-rays. If the new model turns out to be correct, it could provide a path for scientists to one day identify the true nature of dark matter. For next steps, astronomers will need further observations of the Perseus cluster and others like it with current X-ray telescopes and those being planned for the next decade and beyond.